For flood insurance Florida residents can rely on, they turn to Five Brothers Insurance. Five Brothers Insurance has been serving the insurance needs of Floridians for decades. Still a family owned and operated agency, we provide our policyholders with the personal attention needed to acquire the insurance policies to meet their needs. 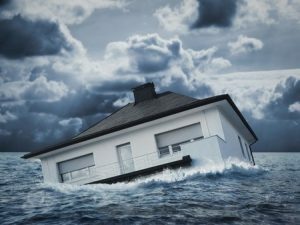 In flood prone regions, it is especially important for homeowners to have a sound flood insurance policy in place to protect themselves against major losses, and when it comes to finding affordable flood insurance Florida residents can count on, they look to the expertise of our experienced and knowledgeable agents. We will work closely with you to determine your coverage requirements and tirelessly search for the most affordable plan to meet those specifications. We always keep your budget in mind, and we will never recommend additional coverages that you don’t actually need. For nearly 30 years, we have worked with the very best insurance carriers, and it is our intention to continue providing our policyholders with the best available insurance markets. Whether you seek out our services for a single boat insurance policy or would like to shop for policies for all of your personal and commercial needs, our staff will dedicate the time to ensure you have the policies to cover you when you need it most. With Five Brothers Insurance, you aren’t just a number. You are a unique individual with your own unique challenges and budgetary restrictions, and we take the time to truly understand the full scope of your insurance needs. If you live in Oldsmar, Dunedin, Apollo Beach, Clearwater, Safety Harbor or the neighboring cities and wonder which flood insurance Florida residents have come to know and trust or would like to request boat insurance quotes or quotes for any other insurance need, contact us today to speak to one of our professional and courteous insurance agents.